The good Moon, Jupiter and Venus give good knowledge. They give good mind. The more good or bad Moon, Jupiter and Venus give laziness. The lazy people get big and thick hand. Lazy people have big or small finger compared to hand. The heavy Venus part may give diabetes to child. The heavy part of Moon may give mental problem to child. The heavy part of Jupiter may give heart problem. Mind slowly stops working. Lazy people face joint pain and spondalities problem. Obese people face problem in getting child. Lazy people cannot make progress after 42 years. Lazy people get shortage of oxygen in the body. They also face lung problem. One should avoid shortage of oxygen in the body to get rid of laziness. Do anulom-vilom 10-15 times in a day. Prepare small target. 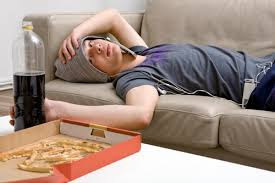 Lazy people do not have stable gout, bile and cough vein. Child face cough, gas and bile problem. Therefore, lazy people should eat light food. Drink gourd juice mixing lemon in it. Drink bitter gourd juice once in a day. Also, take iron along with light food. Changing sitting and walking habit also reduces lazy. Use more red, brown and orange color. However, do not use red color if you are facing problem in getting marry or you get more anger. Do not use silver glass if Moon is strong. You can use gold or iron glass to drink water. Take control on your walking style. Try to make strong upper body part. Start walking normal. Sit nicety on sofa or chair. Obese people can do breathing exercise for 10-15 minutes when they get fatigue.